Jennis Ice Cream makes the wedding reception even better. Cody & Rachel's horse ranch wedding in Hendersonville Tennessee took place inside a newly built horse arena on June 4, 2016. 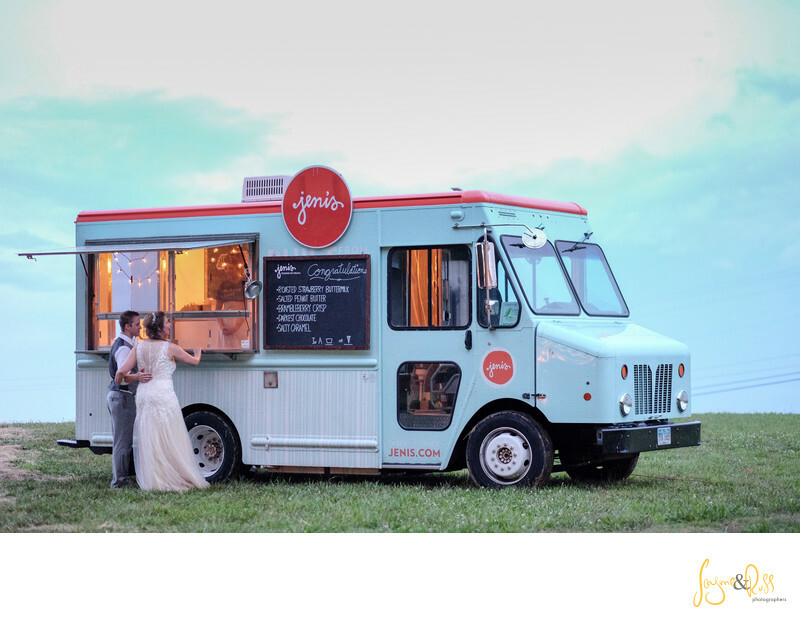 As part of the festivities Cody & Rachel hired Jenni's ice cream to have a truck on hand for the wedding reception. This is a photo of that truck and the bride & groom ordering some delicious ice cream. Photo by Eugene based Destination Wedding Photographer Russell Elsevier.